Alpha feels like an independent feature in the best and worst ways; it’s wonderfully acted but poorly paced. 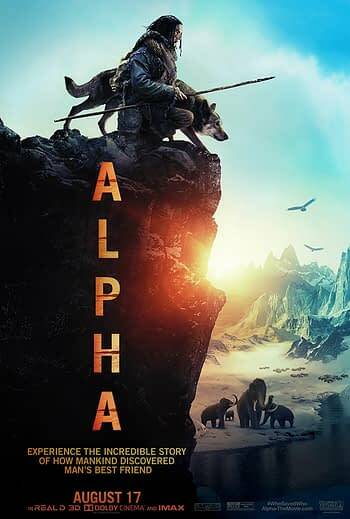 Summary: An epic adventure set in the last Ice Age, ALPHA tells a fascinating, visually stunning story that shines a light on the origins of man’s best friend. Alpha is a movie that mainstream studios don’t often take on. 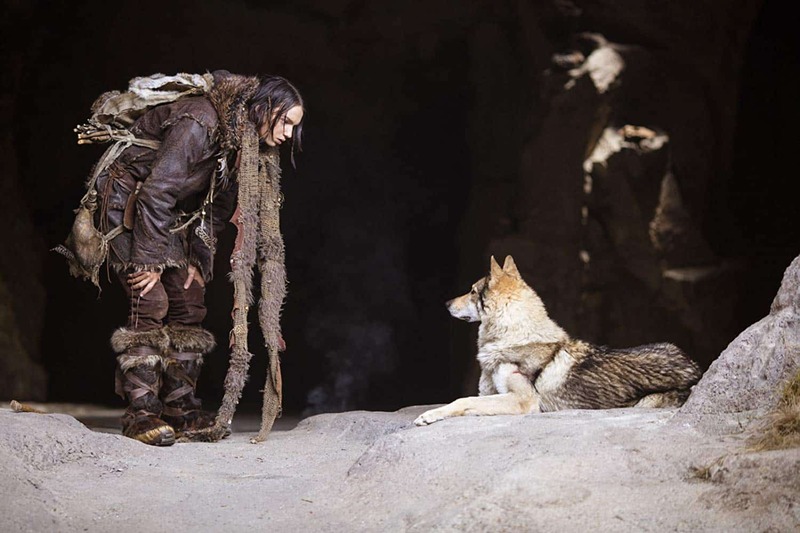 It’s a survival and coming-of-age story about how mankind first domesticated dogs. It takes place during the last Ice Age, and the movie embraces that completely. 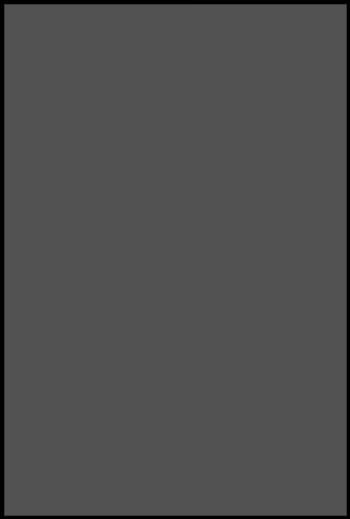 The characters talk in an unidentified prehistoric language. This is something the marketing doesn’t really show and might put off some younger members of the audience or people who don’t like movies with subtitles. The good comes in the performance of lead actor Kodi Smit-McPhee as Keda. It’s hard for anyone to carry an entire movie by themselves (there are plenty of veteran actors who can’t do it), and Smit-McPhee does a pretty good job. He needs to express himself through a language that we can’t understand, so the focus is much more on his face and his body language to get the point across. The little moments between Keda and the wolf he nurses back to health that he names Alpha are very sweet. We see proto versions of tricks like fetch and calling Alpha back with a whistle. The cinematography is also pretty impressive — it shows a vast landscape which looks both familiar but still not quite right. A major plot point is Keda using the stars to find his way home, and the constellation he uses is the big dipper. It’s not always an easy movie to watch, as we see Keda and Alpha deal with treacherous terrain, predators, and the elements themselves. It’s all survival stuff that we’ve seen before, but it’s pretty well done. The problem comes down to the pacing. This is a problem that a lot of survival movies have in that there is only so much you can do before things get a little dull. For a movie that’s only 97 minutes long, Alpha feels a lot longer than that. It has an overly long prologue that sets everything up, we don’t meet the dog until a full half hour into the movie, and there are only so many times we can cut to wide shots of the landscape before it feels repetitive. This is an issue with almost all survival stories and one that very few of them manage to overcome. Survival is about maintaining the basics to keep yourself alive — food, shelter, sleep, and keeping as healthy as possible. These sorts of things are not always compelling to watch. It has all of the hallmarks of a film festival movie. A lot of them tend to be very well acted and really beautiful to look at but tend to drag on despite being under two hours long. There is passion here, but something was lost in the translation from story to feature film. Alpha tells an interesting story with a compelling lead performance, but the pacing issues make the movie a struggle to get through. Personal Note: This may be of interest to some. I very rarely get vertigo in IMAX 3D movies, but Alpha gave me pretty severe vertigo three times, though one instance was worse than the others. Be aware if it’s something you’re susceptible to.